Achieving sustainability goals requires tapping into synergies between different building components and team members need to align their expertise towards common goals. Sustainable landscapes need to be planned the same way as any green project- using a well-defined methodology. Various environmental impacts of landscapes need to be assessed and measured. Failure is not an option—and LEEDuser has blazed a trail for you to follow and earn that LEED AP credential on your first try. 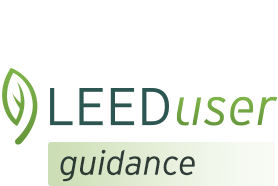 This deep dive into the three Building Product Disclosure and Optimization (BPDO) credits in LEED v4 provides the rationale for why product choices are so important, the details on how to achieve points within the three credits, and which options you shouldn't bother pursuing. The most important tips on completing quality energy (EA) and ventilation (EQ) documentation for your LEED project, to have a smooth review process. Mistakes in your LEED documentation mean extra reviews and possibly losing credits or your whole LEED certification. We sat down with GBCI reviewers to learn their top tips to making quality documentation.